Iowa continues to lose meat lockers in the state’s smaller towns. Brandi Janssen, who runs the Iowa Center for Agricultural Safety and Health, says without these processors, small-scale farmers will lose customers. Iowa State University researchers estimate Iowa has about a third as many small meat plants today as in 1965. “They’re critical for a healthy local food system,” Janssen says. 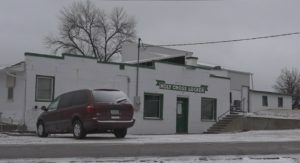 A long-time meat locker in eastern Iowa closed its doors at the end of December. The Holy Cross Meat Locker was famous for its smoked sausage, before it shut down after 72 years. Market watchers say Iowa is losing a lot of these small meat processors. The shops, sometimes run by just a handful of family members, generally butcher a limited number of cattle and hogs for retail or farmers’ markets.